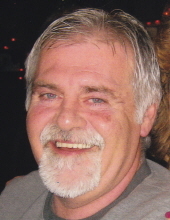 Gerald W. Mahoney, 57, of Eldorado, passed away, September 11, 2018 in Eldorado. Gerald was born in Eldorado on November 18, 1960 to John and Barbara (Meyers) Mahoney and they survive in Eldorado. Gerald worked as a glass glazier. He attended Eldorado Gospel Assembly Church as a child and later attended St. Mary's Catholic Church. He was a member of the Glazier Local Union # 1165 for over 35 years. He loved boating on the Ohio River and spending time at the cabin in Cave-In-Rock, he loved to golf and was a die hard St. Louis Cardinals fan. Surviving is his fiance Tammie Porter of Eldorado Also surviving are his daughters, Maggie Mahoney of Eldorado and Aly Mahoney of Eldorado, a granddaughter Zoey Binder (Daughter of Maggie and Aaron Binder). Also surviving are two brothers: Scott (Pam) Mahoney of Eldorado and John Michael (Stephanie) Mahoney of Eldorado. , a nephew Gannon Mahoney and a niece Brookelyn Mahoney of Eldorado and several cousins. Funeral services for Gerald will be held on Sunday, September 16, 2018 at the Watson Funeral Home at 1:00 PM with Rev. Randall Sork officiating. Burial will be in St. Mary's Cemetery. Visitation will be on Saturday, September 15, 2018 at Watson Funeral Home from 4:00 PM until 8:00 PM. To send flowers or a remembrance gift to the family of Gerald W. Mahoney, please visit our Tribute Store. "Email Address" would like to share the life celebration of Gerald W. Mahoney. Click on the "link" to go to share a favorite memory or leave a condolence message for the family.